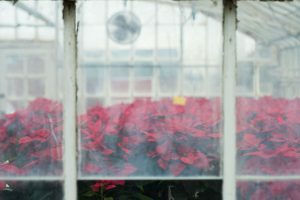 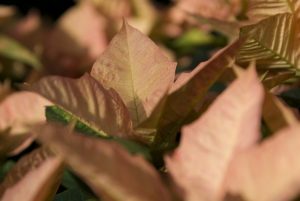 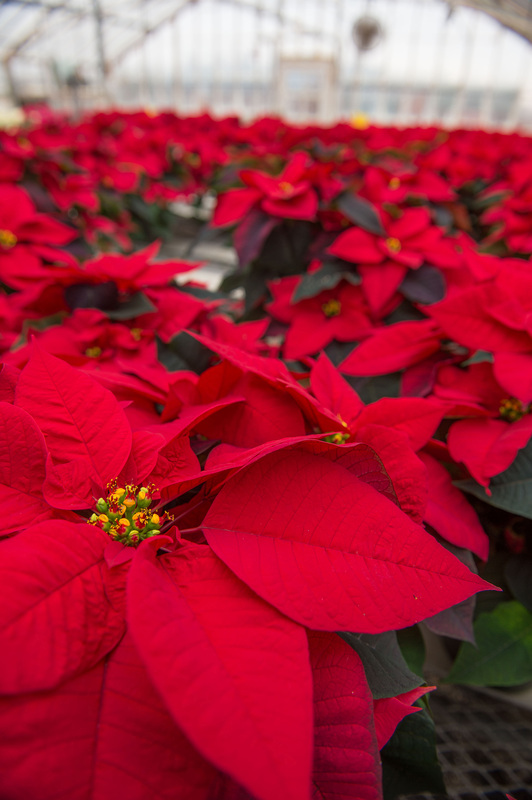 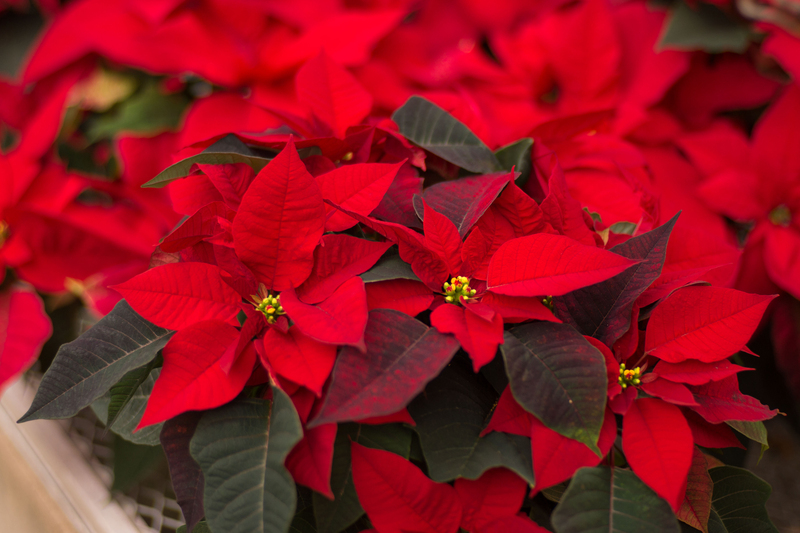 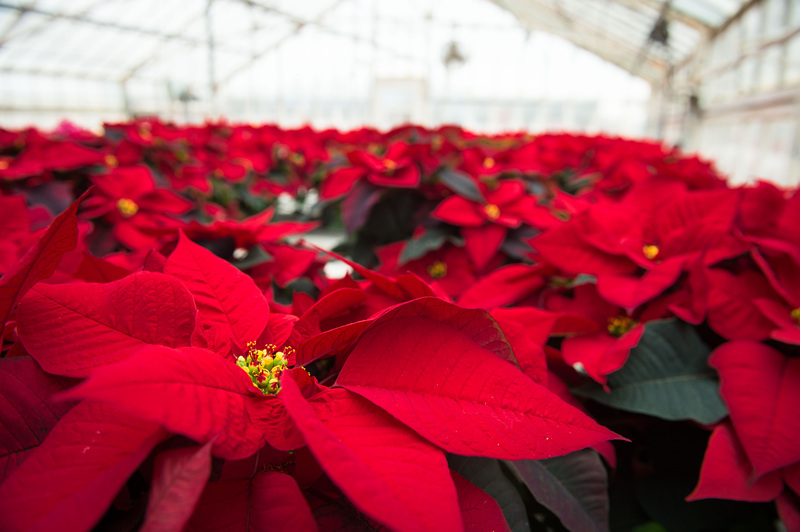 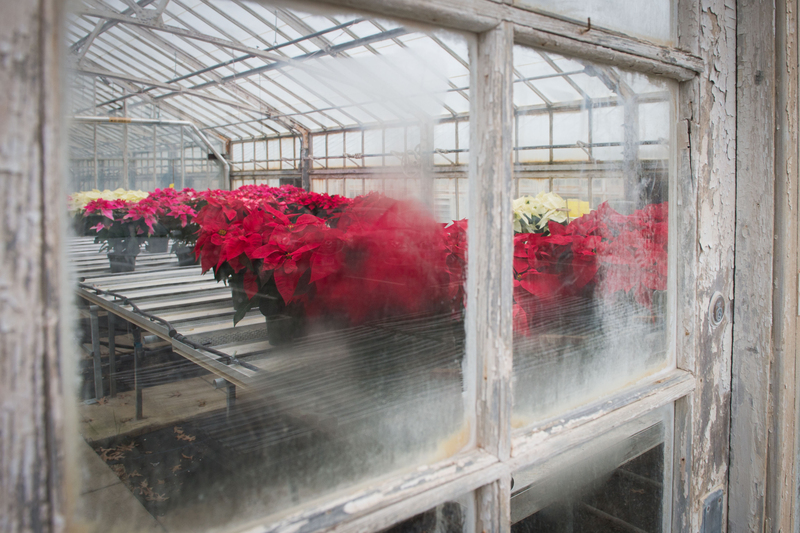 As the holidays approach, UConn’s Floriculture greenhouses fill with hundreds of brightly colored poinsettias sold to faculty, staff, and community. 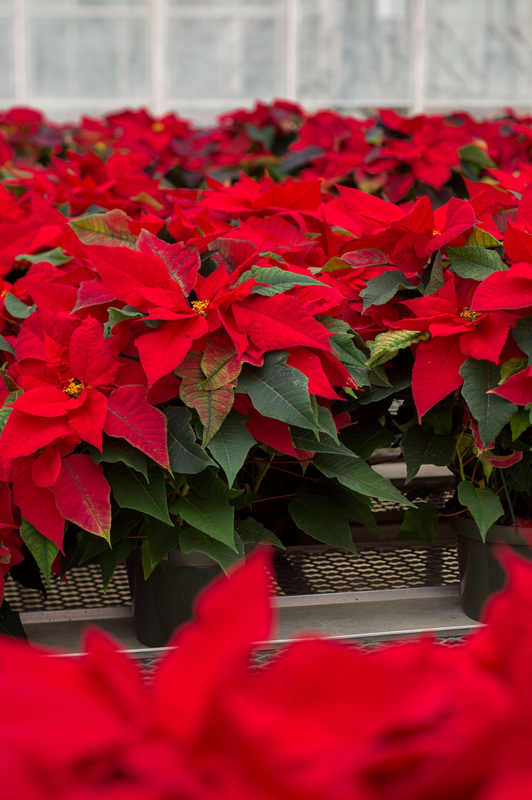 The deep red ones are the most popular, but you’ll find as many as 90 varieties. 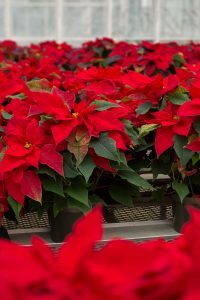 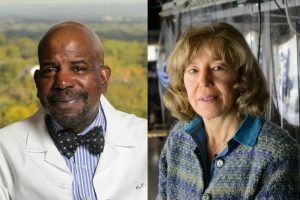 For the past 20 years, the College of Agriculture, Health, and Natural Resources has served as a trial site, growing new breeds for a season to test a plant’s hardiness and popularity with consumers. A fave is retired horticulturalist Robert Shabot’s “Cinnamon Stick,” with light-gold leaves and pink and red specks.